With the idea of completing her first full marathon, Kristen Herrera logged onto her computer and came across her perfect match. The dream to cross the finish line after 26.2 miles was four years in the making. Since 2011, she had done 5ks, 10ks, half marathons and even completed a 30k this past summer. Kristen teaches Barre, Pilates and Yoga in Austin, Texas. She says between teaching her classes and following training plans, she has never encountered any serious injuries. Kristen runs with an all women’s trail group in Austin. 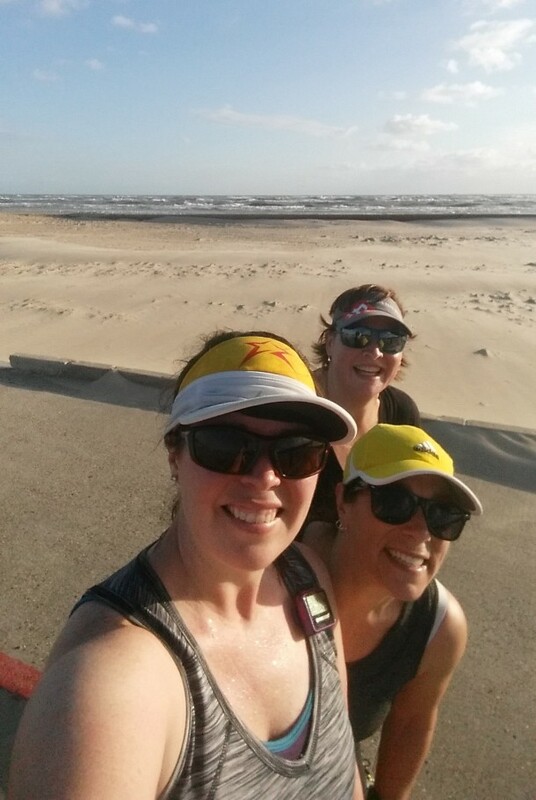 She recruited friends from the group to sign up for the South Padre Marathon, but all chose to register for the half marathon while she was determined to conquer the full. The women traveled to South Padre Island on Friday, rested well that night and caught one of the first shuttles to the marathon start line early Saturday morning. The first few miles were a breeze for Kristen. With her running mates by her side, they got through the first half of the marathon together. They said goodbye and parted ways at the division sign between the half and the full marathon. That’s when Kristen started the last half of her run alone. She hadn’t worn her headphones at all during the first portion and was expecting to need them the last 13.1 miles. As soon as she placed the first headphone bud to her ear that first mile, so many people were running by waving, saying “hi” and giving her a thumb up. This experience was motivating and thrilling for Kirsten. She says this was something she had never experienced. She knew every runner, no matter their pace, were going through the same motions and she was not alone. “No matter how much pain I was in or pain they were in, they still said ‘hi’ and they still encouraged me to push through,” Kristen said. She had never run the full 26.2 before but knew she needed to get to Mile 23 to walk to the finish. Around Mile 18, Kristen met a woman and her sister-in-law. The three introduced themselves to one another and kept by each other’s sides until Mile 24. As Kristen paced forward, she finally turned left and straight into the Clayton’s Beach Bar and Grill parking lot, where she picked up the strength to sprint to the finish line. “I don’t know I’ve ever been so happy to see a timing mat in my life,” Kristen chuckled. 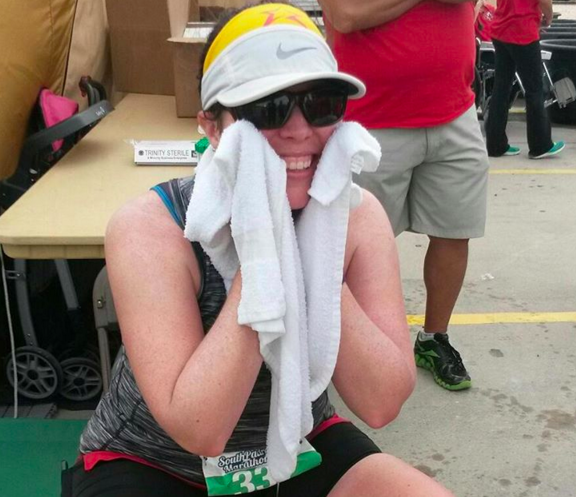 Relieved and exhausted, Kristen had a split second thought that she would never do a full marathon again. Kristen is now preparing to run the Austin Marathon in February and continues to follow running plans and cross training workouts. 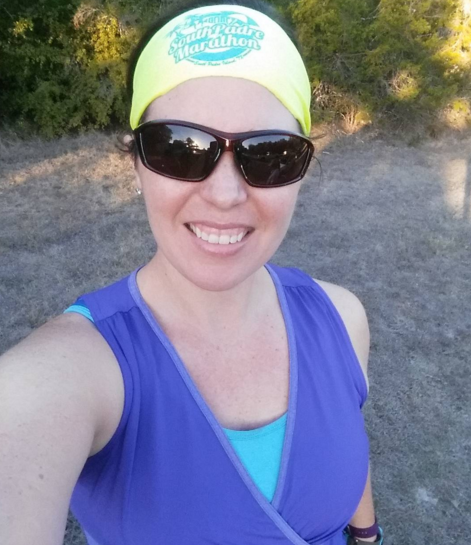 She’s using her experiences and the motivation she received on the South Padre Marathon course to fuel her passion and push towards future runs.